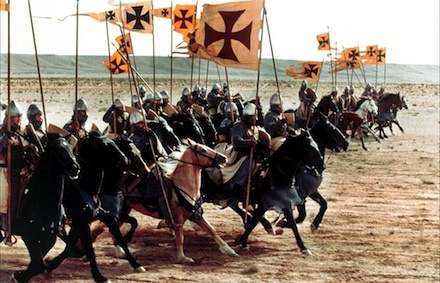 The Crusades have always excited political controversy, both at the time and since. They have sometimes been used as a stick to beat the Catholic Church, or to condemn modern western powers. Instead, I have looked at the conditions in the East as they were before the Crusades, at the circumstances of the beleaguered population – a population that remained overwhelmingly Christian 400 years after the Arab conquest. This Christian East had recently suffered a new invasion, this time by the Turks who in 1071 overran not only Palestine and Syria, but also Asia Minor, a vast and prosperous part of the Byzantine Empire, and soon stood on the Bosphorus opposite Constantinople, whose emperor called to his fellow Christians in the West for help. These dangers and oppressions in the East understandably aroused a reaction in the West. In 1095, Pope Urban II called for a Crusade, but neither Christianity nor the West was the cause of the Crusades. Rather, for centuries Islam had been on the attack. Already in the eighth century Muslim forces had occupied Spain; soon they invaded southern France, Sicily, and the toe and heel of Italy. 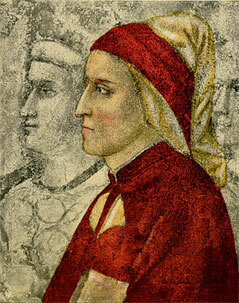 In 846, a Muslim fleet even sailed up the River Tiber and sacked Rome. 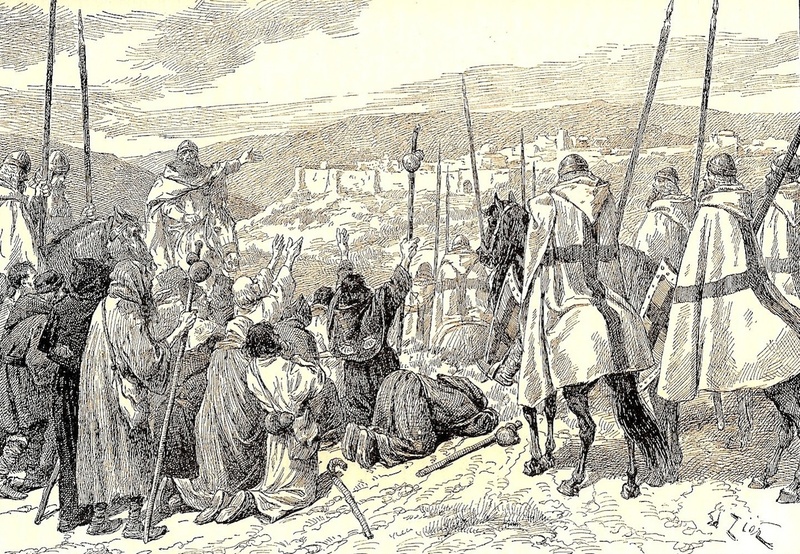 The Crusades were part of a centuries-long struggle between Islam and Christianity throughout the Mediterranean world. So begins my recent newspaper article about my new book, The Tragedy of the Templars. To read the complete feature, click here. Profile has announced a new book from Michael Haag exploring the background of Dan Brown’s latest novel, Inferno (Transworld). Haag’s book, Inferno Decoded, is set for publication in June 2013, just four weeks after Inferno’s release. The news comes only four days after Transworld announced that a new title from the bestselling author of The Da Vinci Code and The Lost Symbol would be published in May. Haag has written guides to Brown’s books before, authoring the Rough Guide to the Da Vinci Code (Rough Guides) and two books for Profile on the Knights Templar, who feature in Brown’s work. 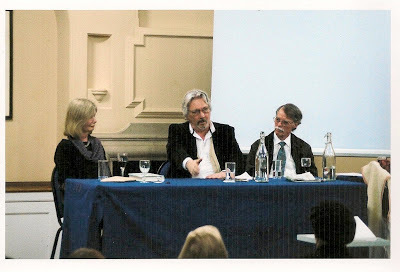 Click here for the full report in The Bookseller. 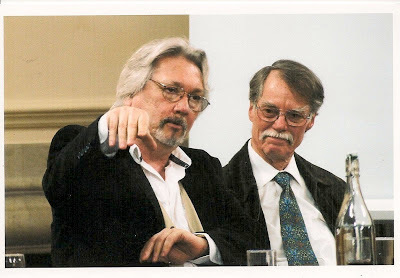 Peter Baldwin of the Delos Press, who was sitting in the audience at the Lawrence Durrell centenary conference in London in June 2012, has given me some photographs he took during the biographers' session. Rather late in the day to be showing them now, but I show them anyway. The biographers' session heard talks from three people who have written about Durrell's life. Ian MacNiven is the author of Lawrence Durrell: A Biography. Joanna Hodgkin, who is the daughter of Nancy Durrell by her second marriage, has written Amateurs in Eden, an account of Nancy and Lawrence Durrell's time in Corfu. 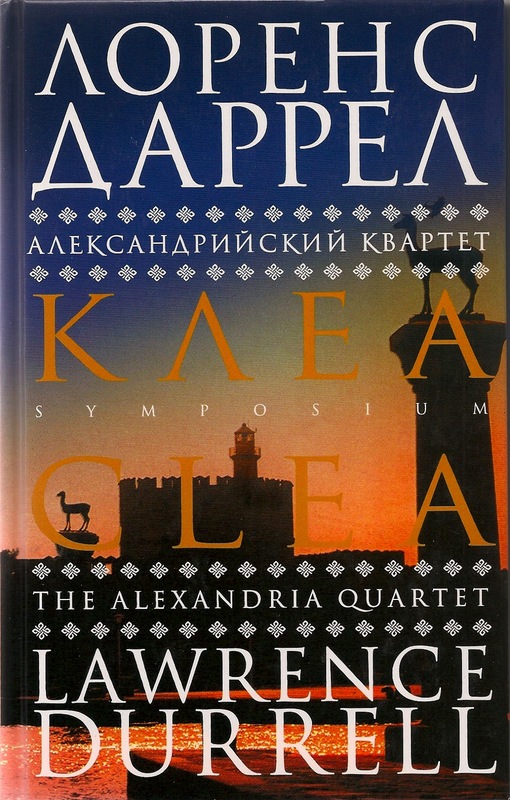 Michael Haag has written Alexandria: City of Memory, which is a social and cultural history of the cosmopolitan city during the early twentieth century. It also tells the story of three writers who lived there, Constantine Cavafy, E M Forster and Lawrence Durrell; Michael Haag is now working on a new biography of Durrell to be published by Yale University Press. 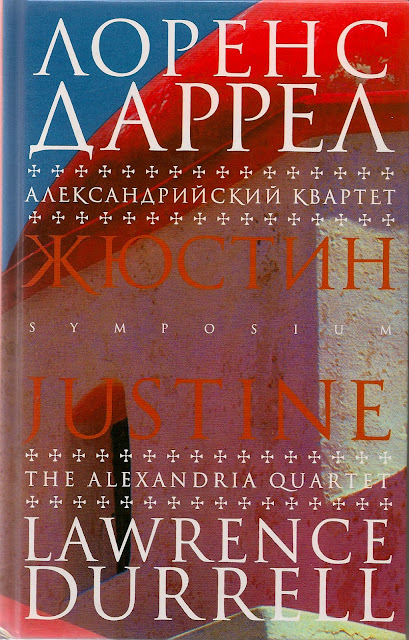 These beautifully designed Russian-language volumes of Lawrence Durrell's Alexandria Quartet, translated by Vadim Mikhailin, were published as a set by Symposium in Saint Petersburg in 2007. 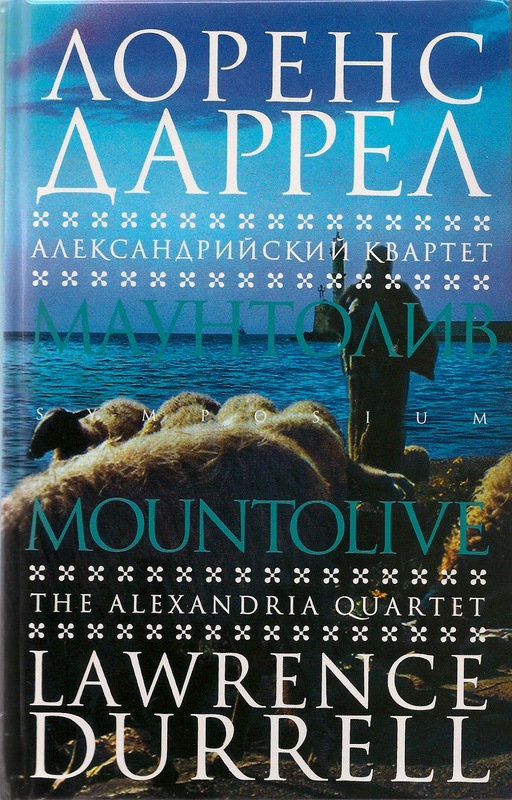 Justine, Balthazar, Mountolive and Clea first made their appearance in Russia only a few years earlier, after Mikhailin did the translations - of Justine and Balthazar in 2001, and of Mountolive and Clea in 2003. 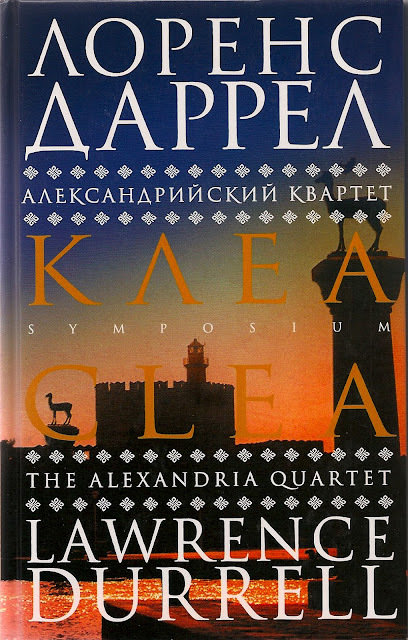 Remarkably, these were the first translations of the Alexandria Quartet into Russian. Justine had been published in Britain in 1957, both Balthazar and Mountolive in 1958, and Clea in 1960. English-language editions and foreign translations quickly followed throughout the world. But over forty years passed before they were published in Russia. 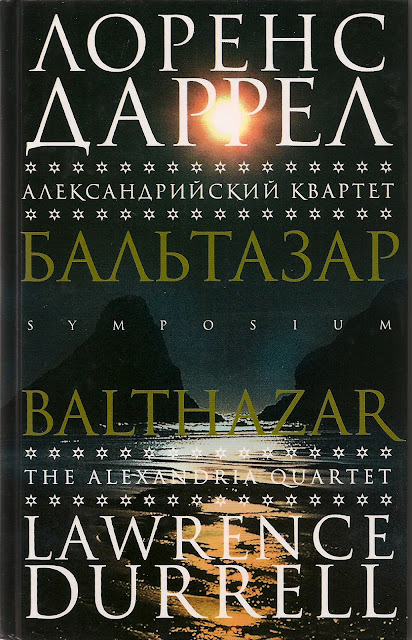 The explanation is that Lawrence Durrell was banned in the Soviet Union. Diplomats and tourists sometimes possessed copies of his books which they left behind; these found their way into a particular bookshop in Moscow where with luck they could occasionally be obtained by discreet enquiry. Vadim Mikhailin first came upon Durrell in this way, when the bookshop offered him a copy of Balthazar. For Mikhailin, Durrell was a revolutionary writer, and after the collapse of the Soviet Union he began translating Durrell's work, first for private academic purposes, then for commercial publication. Why was Durrell banned in the Soviet Union? Because of his well-known dislike for communism, says Mikhailin, in particular his experience of Yugoslavia where Durrell was press officer at the British Embassy in Belgrade from 1949 to 1952. The Alexandria Quartet would certainly prove an antidote to intellectual deadness and conformity, and not only of the communist kind. So begins a review of The Tragedy of the Templars by Minoo Dinshaw in The Times Literary Supplement, 14 December 2012, which in passing also pays tribute to my earlier book, The Templars: History and Myth. Dinshaw, who is writing a biography of Sir Steven Runciman, author of the monumental three-volume History of the Crusades, goes on to describe The Tragedy of the Templars as 'enjoyable and informative ... a pleasure to read', and describes me as 'a romantic pluralist, with an instinctive taste for the esoteric, the independent and the defeated; and a corresponding distrust of victors and orthodoxies'. Which I guess is no bad thing.